Specified mod from Zmey2100 (0x10c-zone.ru) able to add to the gameplay of the common building materials PC mods. There he and other features. Mod is just a script format .js. It is necessary to download and install through BlockLauncher. • v.1. There are only cement and foam construction. They can be removed from the bucket and sprayer respectively. Get them while you can with tap stick. Later there will be craft. To mount the building block needed tap spray foam or a bucket of cement. It is necessary to wait solidification. Because you can not put more than one block of cement or foam lump sum. • v.2. Lighthouse allows you to change the state to turn off or on every ¼ second (5 ticks). Lift capable of lifting blocks (only one). Lifting height - up to three blocks up. Enough to lift clicking on the block. Because you can create a path in places where they can not be created (for example, in high-rises). 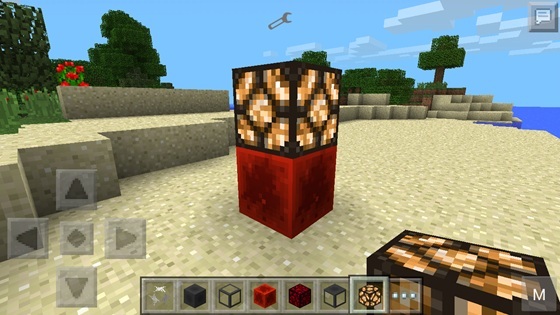 In mod there is a bug: after the installation of the second lamp, the first stop flashing. With this mod, you can build a lot. • v.3. Added pipe. Pipes can be installed at each other turret. Quantity - from two to ten blocks. After necessary tap anything on pipe bottom. In the player's hand will be nothing left, and the top will drop the subject. Moreover, in the same amount. At the top of the pipe is recommended to build something that does not drop flew down. • v.3.1. Added tap-drill. It can control the a block from a height of up to 6 blocks. At the same time destroyed everything in their path. Next crane lifts it up. • v.3.2. Add the forest, allowing convenient to build houses. They work very easy. Forest block must be installed and tap on it. As a result, there are forests, which are sufficient for the construction of a four-meter house. • v.4. 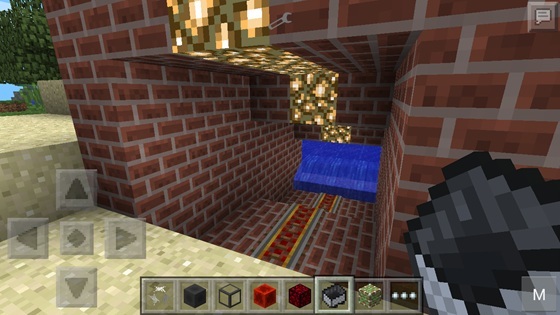 In this mod add a special thing, to create a tunnel. To activate it, you must tap on the wall. A very useful thing. • v.7. 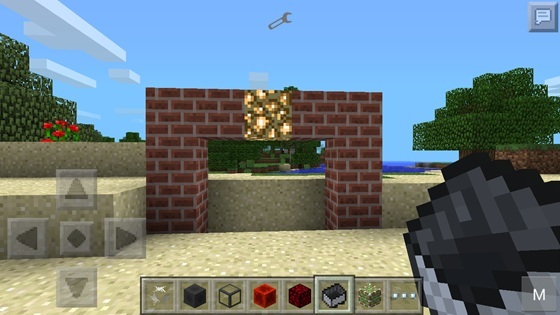 Next update mod for Minecraft allows you to add industrial teleportatory and teleportatory to ... These devices allow you to quickly navigate to the significant distance. Many existing teleporters to ... there is a possibility teleporatsii the latest teleport from ... For installation, you must click on the block. Teleport from ... also designed to move substantial distances. From several teleporters from ... you can move to the last teleporter to ... To install, you must press on the block. Attaching mechanism cooler which operates if one side fitted with a battery. When you click a bucket with water, there is ice. The heater also works with the battery. When you press any of the blocks produces lava. The battery is required for the operation of these two elements. Magnet can lift a block of iron underneath 2-10 blocks. Ice is designed for rapid solidification foam and cement. 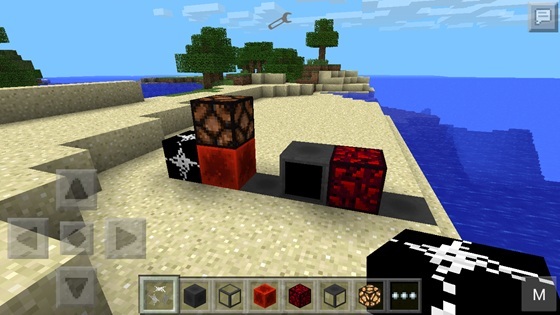 Lava allows to obtain obsidian coolant. Foam and harden cement now no more than 5 seconds. To achieve the effect of rapid solidification need tap ice on them.